Receive 100 Gallons for FREE! 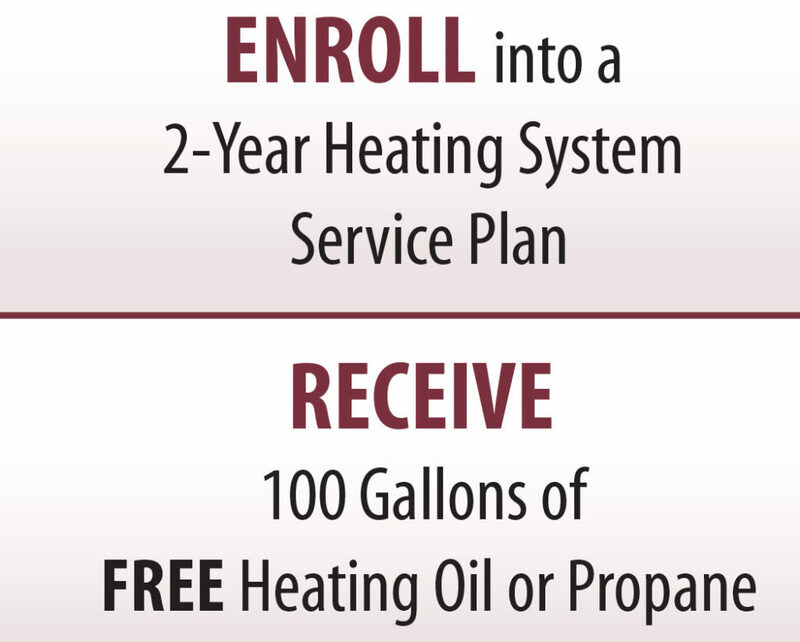 Take a bite out of your energy costs by receiving 100 gallons of free heating oil or propane when you enroll into a 2 year heating system service plan agreement. This special not only saves money on your next energy delivery but also can save you hundreds of dollars by having service plan coverage. *100 gallons will be credited on your account for future delivery orders. If service plan coverage is cancelled before two-year anniversary date, customer will be invoiced for 100 gallons. Oil heating system must first qualify for Premier Plan coverage before 100 gallons is credited. Promotion cannot be combined with any other offer and is only available for new customers.